Every year, on the occasion of India’s Independence Day, New York City witnesses the largest fun-filled “India Day Parade”, in North America and this year was no exception. The parade, which is in fact an expression of public celebration of ‘Independence Day’, is convened each year by an umbrella organization called “Federation of Indian Association (FIA).” This year 40 floats and 25 walking-dancing groups, representing multitude of ethnic, religious, social and cultural Organizations took part in it. 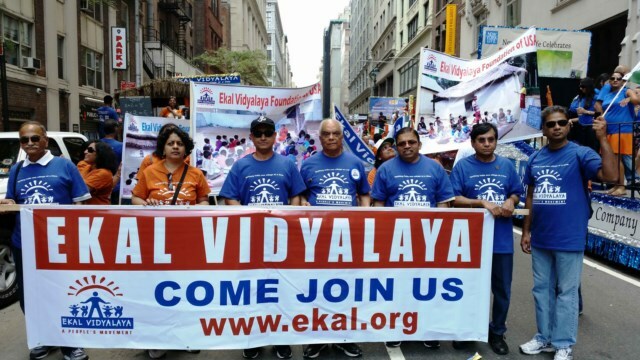 This year’s parade had special significance to “Ekal Vidyalaya Foundation, USA.” For the first time in its history, ‘Ekal’ participated in this eagerly awaited parade with throngs of volunteers from Edison (Staten Island is part of it), Wayne, Philadelphia and Connecticut chapters who wanted to emphasize their support for the ‘cause’ that was dear to their heart. The primary objective of Ekal’s participation was publicity and exposure to the Organization and thereby reinforces its prominence in NY, NJ, Connecticut areas. As per the tradition, this 34th annual parade took place on ‘Madison Ave’, starting at 42nd street and concluding at 24th street. This year’s theme was ‘Colors of India’ and therefore, the whole parade was immersed in colors, colors, and more colors everywhere. The grand marshals of this parade were Bollywood stars Sunny Deol, Raveena Tandon and Vivek Ranadive, the first Indian owner of a basketball team in NBA history. Indian Tennis ace Leander Paes, was a special guest. India’s Consul General in NY, Hon. Shri Dyaneshwar Mulay and New York City Hon. Mayor Bill de Blasio started the procession at 1PM by leading ceremonial Bands, ‘Lezim’ troops and Indian drummers. This year, the parade was watched by a record crowd of over 200,000 people; add to this the TV/Social-Media coverage and print media exposure. As per the limitations of Ekal- 67 volunteers (27 Ladies, 40 Gents – 15 youth among them) participated in this 11AM to 3 PM event. The Herculean task of coordinating minute details of this event was spearheaded by Shri Jyotindrabhai Patel, Regional President, who also came up with the conceptual idea of decorating the ‘Float’ with a village-hut and a school class in session. The float was wrapped all around by banners and slogans. People involved in making this parade a success are aplenty: Ekal info-paraphernalia (handouts, flyers) for public distribution was provided by Kalpana Fruitwala and Pooja Shah. Jayesh Patel, Prakash Waghmare, Prajna Khisti and Parveen Sharma monitored the procession while Sanjay Phanse, Nanda Mounasami, Neera Tulsiyan clicked the pictures. Shri Devkinandan Thakurji Maharaj of ‘Bridavan’ led the Ekal’s flotilla procession. During the parade, the youths distributed several thousand Ekal bookmarks in the crowd surrounding the parade while Satish Karnik and Deenbandhu Tulsiyan distributed Ekal flyers at the end-point of it. All men volunteers wore blue Ekal t-shirt while all women volunteers wore dusty-brown Ekal t-shirts. Our volunteers carried two dozen banners, making the float the most eye-catching, and most photographed (by public) group of people. While marching in the parade, the volunteers, from time to time also resorted to loud slogan - ‘Sponsor a school, Dollar a day’, in unison. Not only the public and the commentators of the ‘Grand Stand’ took significant notice of Ekal’s presence because of all this, but also, the media covering the parade paid more attention. TV Asia, BU4 and CNN took Jyotindrabhai’s ‘moving-interview’ and ITV interviewed Jyotindrabhai and Prakash Waghmare. For this parade, Ekal volunteers, not only gave their valuable weekend time but also paid for their t-shirts and the lunch at the end of the parade. Kudos to our overseas volunteers! 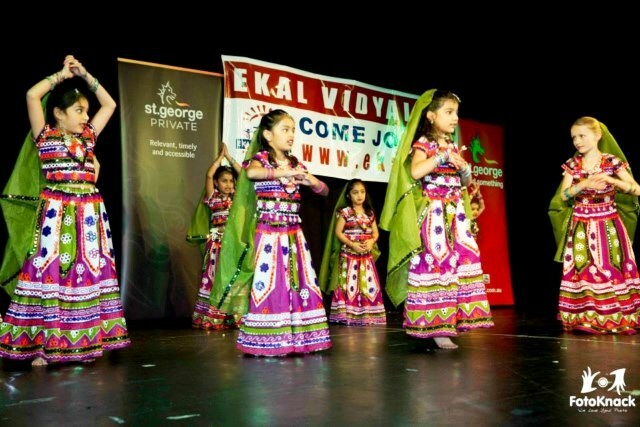 I was fortunate to be an official photographer of this wonderful fund raising charity event organized by Ekal Vidyalaya Foundation of Australia, celebrating the 10th Anniversary in Sydney. 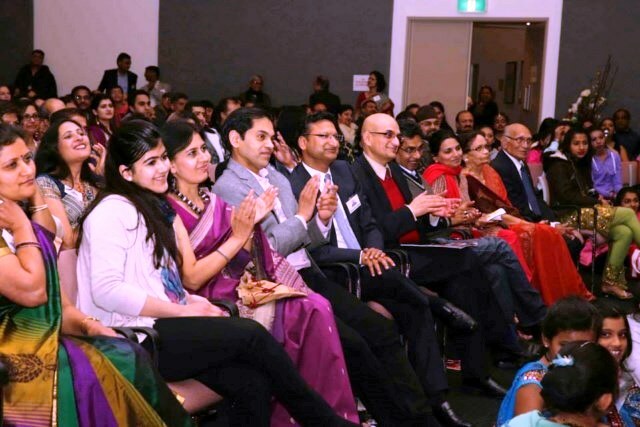 Among the eminent invited guests were Member of Parliament and Secretary to the Minister for Communications - Paul Fletcher and Consulate General of India - Sanjay Sudhir. Harvard University conducts a Model United Nations Program (HMUN) each year at Hyderabad India. They announced the "Impact Contest 2014" in which participating delegates were allowed to nominate an NGO of their choice which works towards the UN Millennium development goals. They were asked to prepare a 3-minute video for a campaign to support the NGO. The NGO whose video has the most online popularity was to receive an award from them. The fund collected by HMUN India from their charity initiative this year was to be awarded to the winner. Our youth member Shyam Sriram nominated EKAL Vidyalaya. Shyam visited Amrakavas village at Alwar, Rajasthan to capture the good work being done by EKAL team and presented his video. The nomination was accepted and the campaign was on for about 20 days. The participants were judged based on few factors (i) legitimacy of the organization (ii) the online popularity and (iii) their impact towards their communities. We are delighted to share with you that Ekal Vidyalaya won in this competition (shared the first place with another NGO based at Hyderabad). This is very prestigious for EKAL for having won this recognition in a visible public forum. EKAL would like to also thank the volunteers who participated and shared their LIKES in Facebook during this campaign. Our heartfelt gratitude for all the support right through this campaign! Himachal Pradesh is fondly known as Devbhoomi and Devlok. It is the land of Lord Shiva and Parvati. True to its testimony Mother Nature has blessed this hilly terrain with abundance of rare and valuable vegetation, fruits, herbs, vegetables, flowers, lush greenery, clean water from the glaciers and gods and goddesses spread fragrance and aura of spiritual energies to encompass the humanity. Ekal Abhiyan reached Himachal in 2001-2002. Presently Himachal Pradesh has been divided into two administrative units as Himachal and Himgiri. 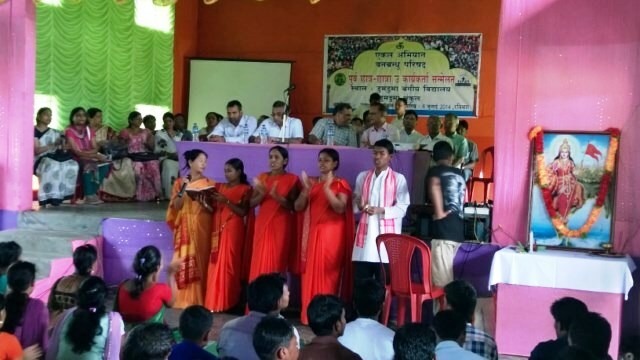 Two Mahila Vargs were organized for both the areas. There are 4 anchals in Himachal and 5 anchals in Himgiri. Ekal is functional in 3,430 villages in this hilly terrain. Three hundred fifty full time volunteers face tough challenges during rough weather. Ekal Teachers are all young women. This fact makes it more significant that we involve greater support of urban, semi-urban and village women in Ekal Abhiyan. Around 90,000 people have taken Ekal membership in the villages, because 70,000 children are getting education in Ekal schools of Himachal. No wonder around 1600 Ekal school are supported by Swavlamban collection (local resources) by local, Ekal volunteers (not full-timers). The Himachal Bhag Kendra Mahila varg commenced on 20th July 2014 in CHOWARI Kendra of CHAMBA district. 85 women volunteers from 4 anchals Chamba, Nurpur, Palampur and Joginder Nagar, participated in the varg. Some were from anchals, but most of them were from sanch kendra (30 schools centres) and Ekal Vidyalaya Gram Samiti. These women provide authentic evidences of social change taking place in Ekal Villages certainly due to Ekal. These women volunteers termed as Free Timers or samiti members of Ekal are basically trained in six subjects in the Mahila Varg. 1. Quality of Ekal Vidyalaya: Regular visit to Ekal schools to encourage and inspire the teacher and to supervise the school functioning. 2. 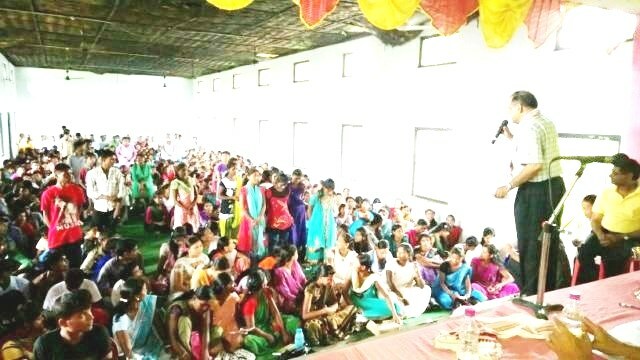 Matri Bhojan: Thirty ladies of Sanch Kendra form the ‘Mahila Mandol’ to organise Matri Bhojan for 30 Ekal teachers who come for Abhyas Varg every month on definite date. 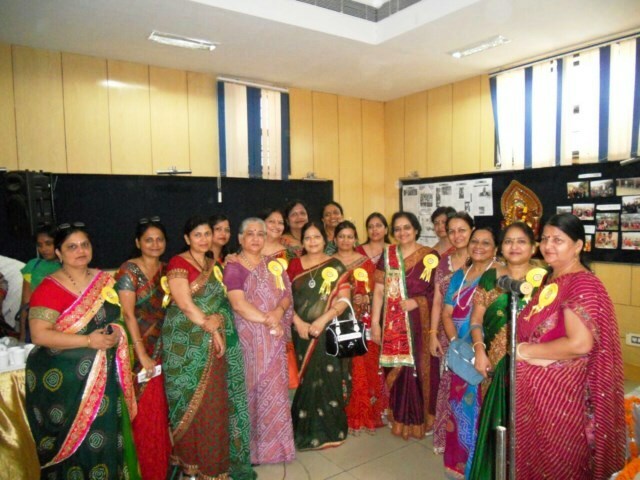 Thus a bond is established between Sneh Sampark Parivar and the teacher. 3. Ma. Yasodha Yojna: Seva Patra (we call it nandan patra) is kept with the lady of the house to collect one or two rupees a day to support poor children’s education. Just like Ma. Yasodha brought up Balkrishna born to Devki, urban affluent ladies can bring up poor village children by sponsoring for their welfare and education through small savings. 4. Upahar Samman Yojna: Once in a year on the occasion of Sankranti, Onam, Lohri or Deepawali these ladies of supportive group play the role of Abhibhavak and honor the respective teachers and the sevavratis publicly by giving them gifts in the presence of Gram Panchayat or Gram Sabha and respected people of the city. 5. Organise vanyatra or school visits for cultivating donors and city volunteers. 6. Organize Mahila Samiti to execute different programs for Prachar - Prasar, strengthening the organization and for raising funds for Swavlamban. Similarly Himgiri Bhag Mahila Varg was held in Kullu on 22 and 23rd July 2014. 70 women participated. They represented five anchals-Shimla Rodu, Sirmore, Kinnor, Kullu and Anni. 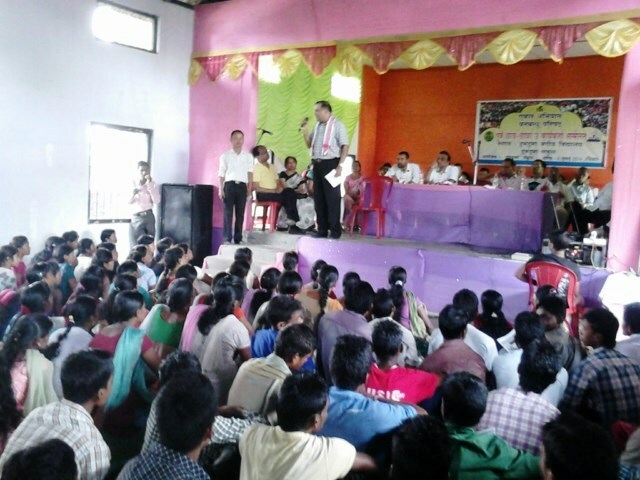 In both the events, local samiti members of Ekal have given full support of every kind to make it successful. The self-confidence and leadership command of the village women who did not even know how to hold the mike, are worth appreciating. 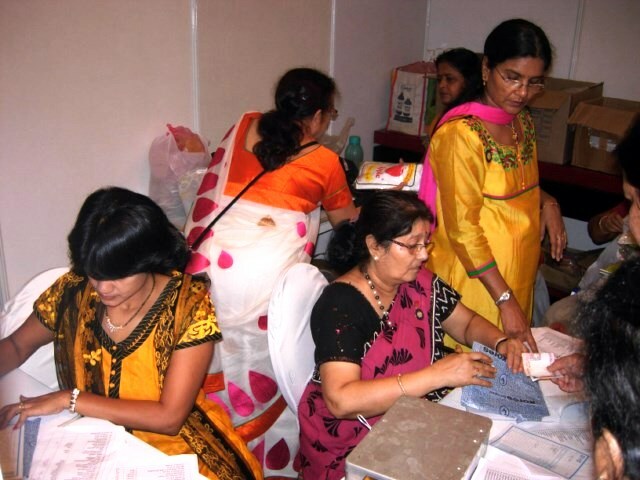 The Mahila Wing of FTS Chennai Chapter successfully organized 8th FTS Bazaar on 18th-19th July 2014 in The Park Hotel, Chennai. 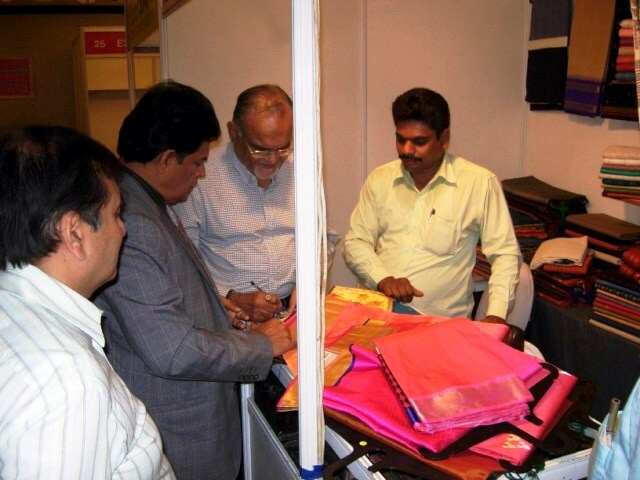 It’s a 'Sale Event' with the noble objective to support Ekal Vidyalayas in Tribal & Rural Areas. The profit from this event was given to Ekal Vidyalayas supported by FTS-Chennai Chapter. •	As part of Corporate Social Responsibility, Bank of India, a leading Public Sector bank - adopted 20 Ekal Villages during this Financial Year. Shri Sripada S Rao, Zonal Manager & Shri.E.Shanmugam, Senior Manager – Administration from Bank of India, Zonal Office – Chennai presented the Cheque worth Rs.4.00 Lakh to Shri.K.K.Maheswari, President-FTS Chennai Chapter, Smt.Krishnaa Bhaiya, & Smt.Sadhana Mimani & Smt.Vimala Damani, Immediate Past President of Mahiala Samithi -FTS Chennai. 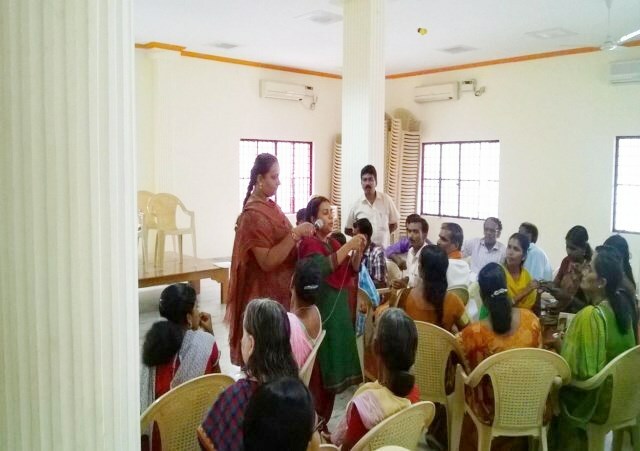 FTS and Mahila Samithi, Kochi organized training program for SHGs supported by BPCL on June 7th & 8th. There were 46 male and female participants, of different age groups. 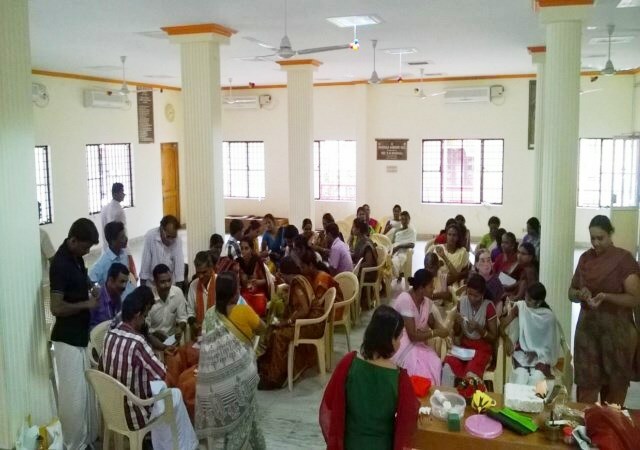 They were trained on Mushroom Cultivation by Smt Anitha, Vegetable and Fruit Promotion Council and making dry flowers bouquet of different shapes and sizes with bio-degradable papers and environment friendly materials by Smt. Sudhakshina and Dr. Namitha. These sessions were followed by a formal Inaugural program at 4.30 p.m. by Smt. E. Sathyashree Priya, Chairperson, Mahila Samithy who also welcomed the gathering. This was followed by an address on ‘Self Help Groups - A Banker’s perspective’ by Shri.P.K. Venkita Raman, ex-banker and member of FTS. Shri S. Muralidharan, Shri P.K.Krishnamurthy and Shri Suryanarayanan distributed mementos (Umbrellas) to the participants. Smt. 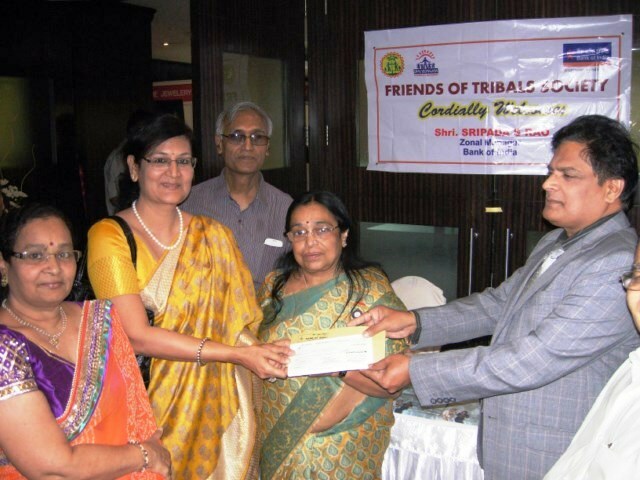 Bhavana Pareksh, Vice President, Mahila Samithy and Smt. Muralidharan gave away dress sets to the two Acharyas and the three karyakarthas (who had accompanied the participants) recognizing their services rendered to the Ekal Vidyalayas. Second day started with the training session on the actual procedure for the formation of SHG by Adv. N.N.Girija. 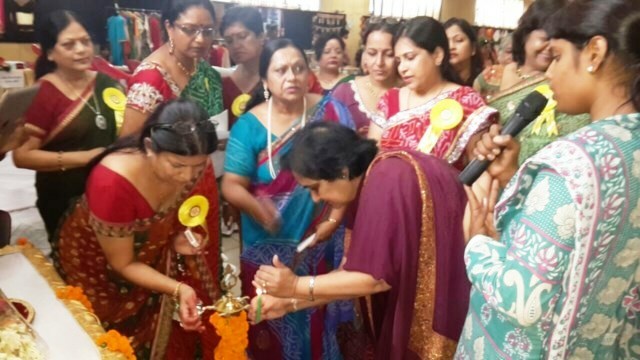 Ekhal Abhiyan’s Lok Siksha parishad, Lucknow chapter’s ladies wing celebrated Rakhi, Theej and Sri Krishna Jayanti. Ekal carnival was conducted on 19th July at Lucknow city. About 35 stalls were there in the carnival with handmade Rakhi, Bangles, Saree, organic fertilizer etc. About 300 families participated in this carnival. During the event lot of competitions like fancy dress, rangoli, cooking competition etc. were held. With this program they were able to collect donations for 5 schools. “One person can inspire one village”, this very mentality is what propels the people of Ekal in lending a helping hand to those in need. A valuable lesson I’ve learnt over the course of my stay is that it isn’t the amount of people that attend these summer camps that truly counts, but the lessons you walk away with, that you implement in your daily lives. Sometimes all it takes is the drive and dedication of few to really make an impact. After all how did Ekal start? A boy from Chicago traveled to over 200 villages throughout India, and gained from that a sense of understanding and perspective of all the obstacles those people must overcome on a daily basis. It is one thing to hear and see things through internet, television, newspaper articles, and another to observe their surrounding and environment for yourself. I feel that creating your own vision rather than seeing it through others’ eyes is the make or break for some to really step up and achieve a greater understanding than what meets the eye. 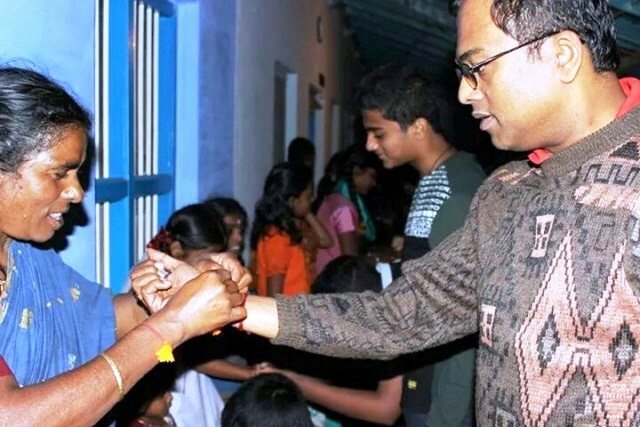 For this reason I found this exposure to be an unforgettable privilege that the Arogya house has not only been so welcoming, but allowed me to have direct involvement in the project process. My particular sector of involvement was through Arogya Foundation: Managing Malnutrition and Anemia through home remedies. Over the course of my stay I traveled to several villages including Thudiyalur, Mettupalayam (Gopanari village), Boluvampatti, SandhegoudhanPalayam, and Thenmanallur. I traveled to the local schools and villages and administered HBT Anemia tests on women and kids; the people’s ages were ranging 15-30. Astonishingly, the demography of over half the population was a blood level of below 6, proving the theory that women and children are malnourished. For the people with levels of 9.5 or below we supplied Ayurvedic medicine for 15 days and people with severely low count of 6 or below were given a 1 month supply. Alongside us, were two doctors from Australia and London who were conducting oral and eye examinations for those within the villages, and giving presentations to the kids about the importance of oral hygiene. I learned the effectiveness of home remedies in comparison to using western medicine; I can say from personal experience that western medicine only puts a bandage on the complication and is used primarily as a quick fix. Ayurveda doctors, Krishna Prasad and Kirtika gave very valuable lectures at the medical camp proving that natural treatment is always the way to go. I have seen that this foundation has a clear objective of creating awareness of overall healthcare activity and also to give treatment and development for the villages and the villagers. 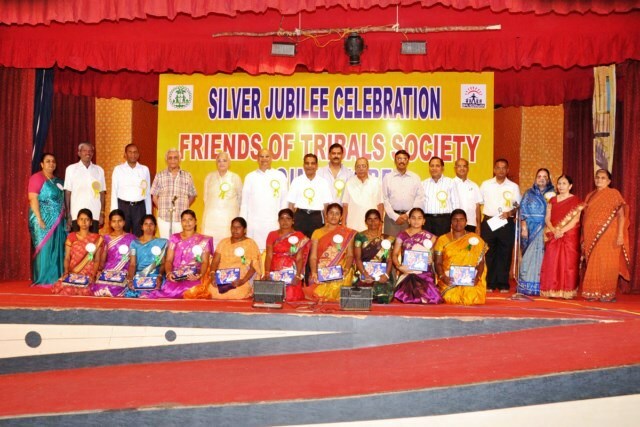 The overall experience for me was remarkable and gets me excited to see what more involvement I can have in this awesome foundation in hopes to help continue spread the word when I go back to the U.S.
Friends of Tribals Society, Coimbatore chapter celebrated Silver Jubilee of FTS on August 31 by organizing a drama event by cine fame Kathadi Ramamurthy. They had 2 plays, one exclusively for all Rotarian clubs in Coimbatore. Packed audience not only enjoyed the humor but also came to know about EKAL VIDYALAYA and its activities. FTS took this as an opportunity to honor top 10 Acharyas of Ooty Anchal. The awards were given away by Sri R.L.Maheswari, Treasurer, FTS Coimbatore and Sri Uday Chandran, President, Rotary Coimbatore Manchester. Recently I received a copy of “INCREDIBLE CHAMPIONS” by N. Chandrasekaran published by Partridge India. This book is an interesting and well thought effort in bringing out various professionals who are contributing significantly to the society. It explains how exemplary professionals see opportunity in challenging times and circumstances to serve a large society. The book covers 25 most inspiring social activists from Tamil Nadu, and one name in this list is our own Dr. C. SATHEESH KUMAR (Project Coordinator–EVFI). 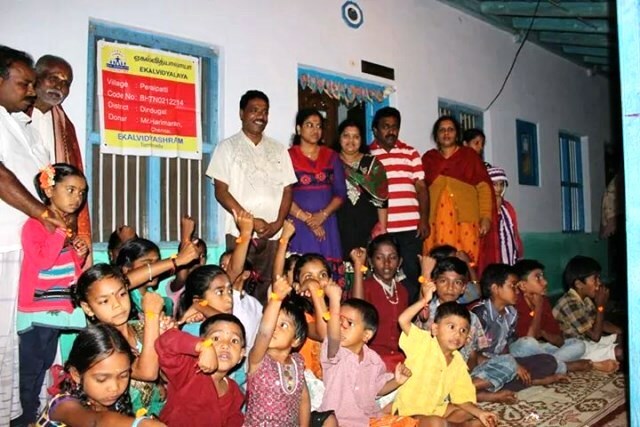 “Satheesh, who was born to a middle class, conservative family, went ahead to pursue his ambition of serving society. 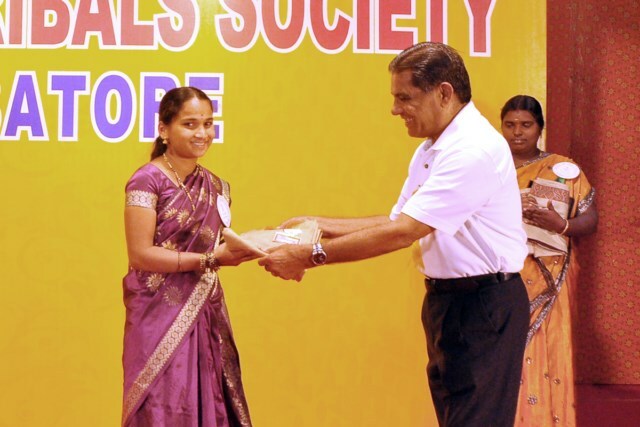 He was qualified to become a doctor (BAMS) in Ayurveda medicine from Coimbatore. After passing out he joined a social work project in Arunachal Pradesh where he worked for 2 years serving 10 tribal villages, after which he went back to Udagamandalam, Tamil Nadu and joined J.S.S. college of Naturopathy and Yogic Science as a lecturer and it is during this period Satheesh met his mentor Sri Shyamji and pursued his ambitions to educate tribal children. 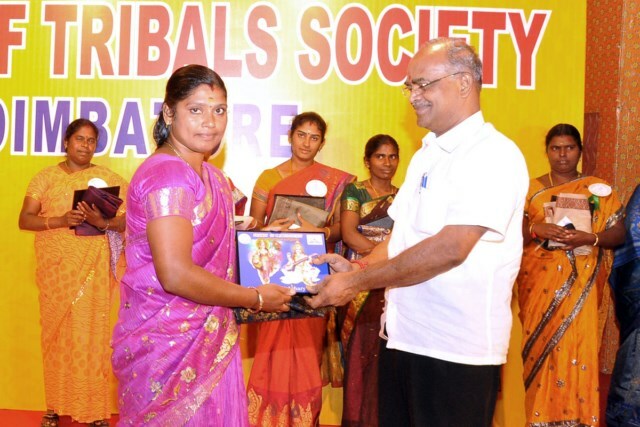 Currently he is also involved in Arogya foundation of India, Home remedies project in Coimbatore. These great efforts from a person of humble beginning are worth emulating. A 50 member team from Sharjah visited Ekal Vidyalaya. It was a wonderful and a first of its kind experience for all of them. The village children were very excited and waiting for their arrival. They demonstrated shloka chanting, yogasana very happily. Together they celebrated Rakshabandhan Utsav there. 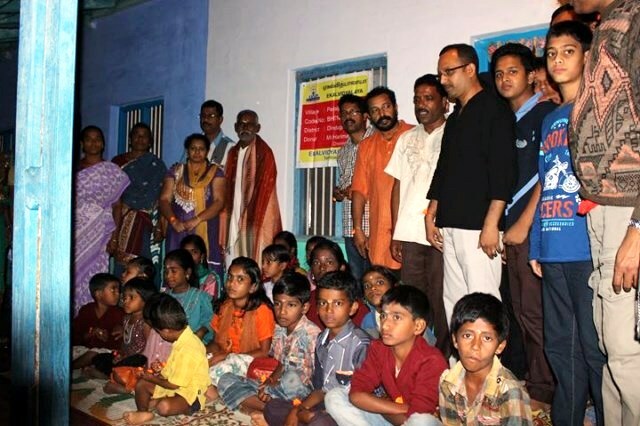 We, at Ekal Vidyalaya take Swami Vivekananda’s vision of taking education to the poor child as our mission. While we raise just one dollar for a school, we leverage it with the work provided by on-the ground volunteers and intense support from our well-wishers. 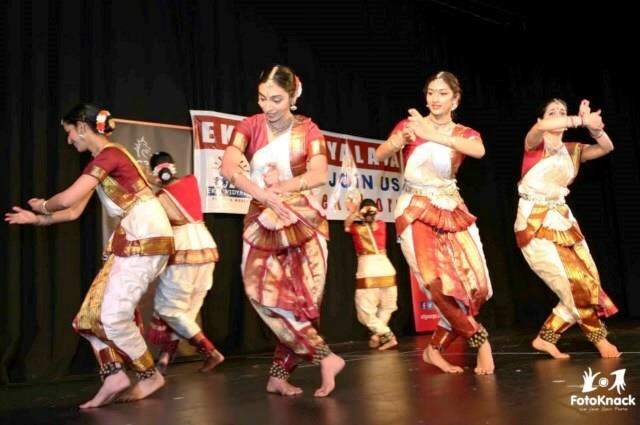 To bring all our well-wishers together and motivate many others, Ekal Vidyalaya is hosting its Annual Conference in Cincinnati, Ohio from October 3 to 5, 2014. 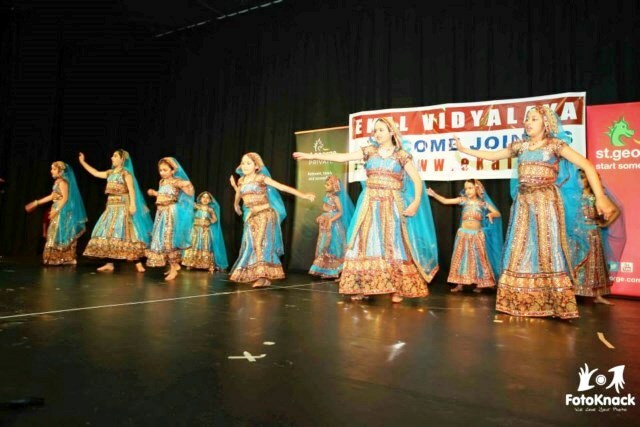 Ekal Vidyalaya Foundation of USA will work to significantly enhance its contribution. Please join us in Cincinnati from October 3-5 and share your experiences and suggestions!